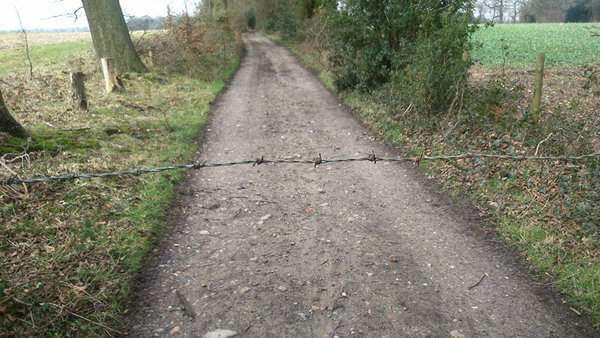 A barbed wire ‘booby trap’ has been spotted on a bike path in Kent, that could potentially injure or kill cyclists. The dangerous wire was spotted in Wormshill, Kent and now Kent Police are investigating this alarming discovery, which is said to be ‘capable of tearing a cyclist’s throat’. This alarming picture of the trap was posted to Twitter by @BikesyUK yesterday. The image shows very thick metal wire with jagged edges stretched across the path at neck height. It’s no surprise that cyclists reacted badly to the dangerous booby trap. @BikesyUK @Jules_jellypop Why on earth would you even do that. ? @kent_police Surely those responsible know it’s at a height capable of tearing out a cyclists throat. I hope the punishment reflects this. Even former Top Gear star James May got involved in the debate. @M40tired@BikesyUK This sort of thing is OK in The Great Escape, but not real life. Why people would do something like this is just beyond me.